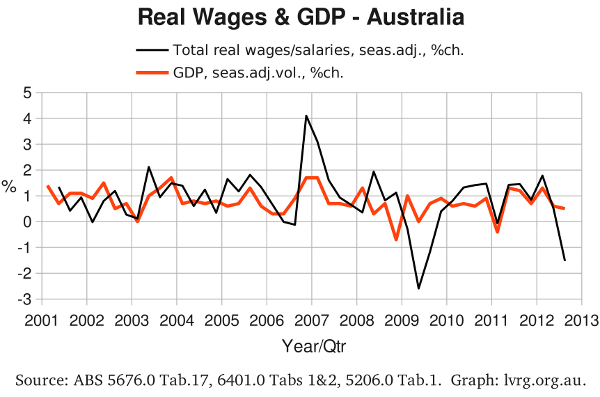 The nominal wage/salary bill was also pessimistic, but not to the same degree. 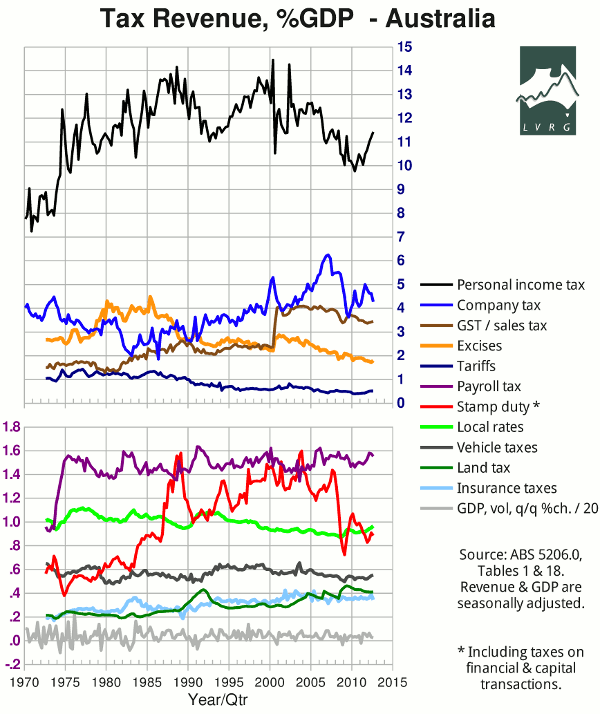 Receipts from company tax continued to fall (but figures for recent years have been revised since the last quarter). Receipts from personal income tax continued to climb, notwithstanding the fall in total wages/salaries and the lifting of thresholds; clearly the additional revenue is from non-labour income.